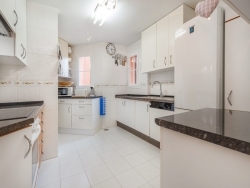 Ideal 4 bedroom family unit for sale in Andalucia Alta. 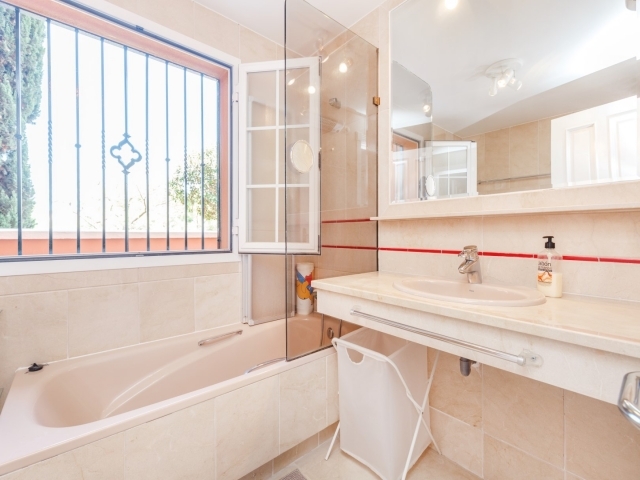 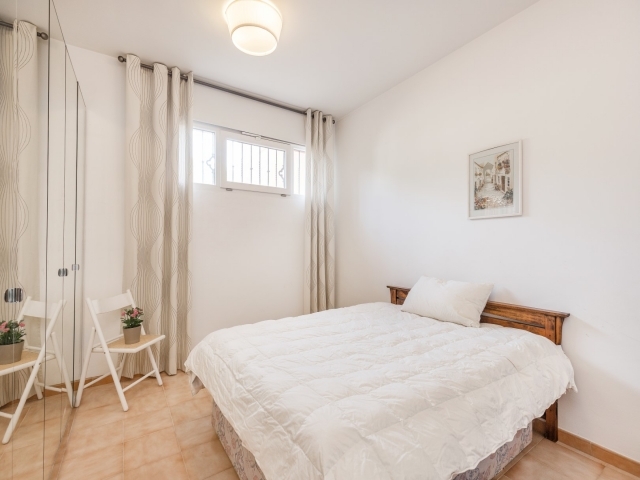 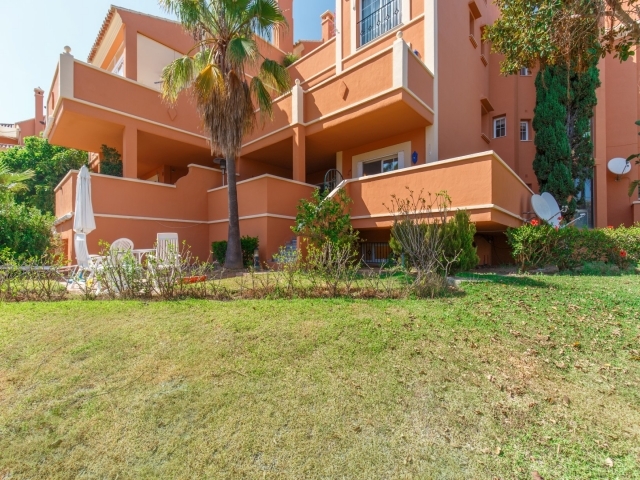 This is a an elevated ground floor apartment with stairs leading directly down to a small private mature garden and charming terrace which leads out to the community gardens and Children´s playground.  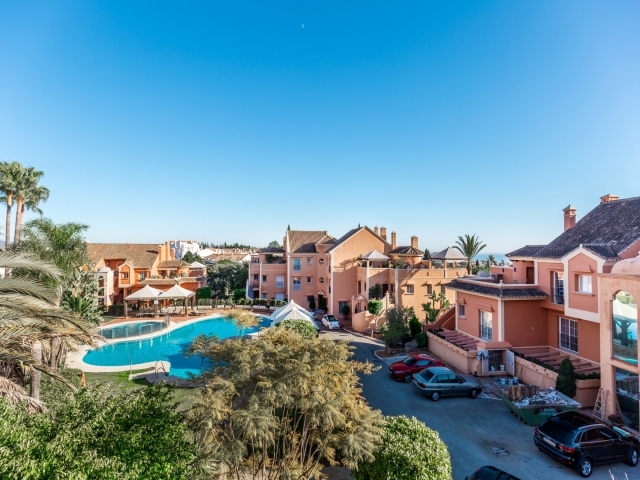 The development is very popular due to the excellent location. 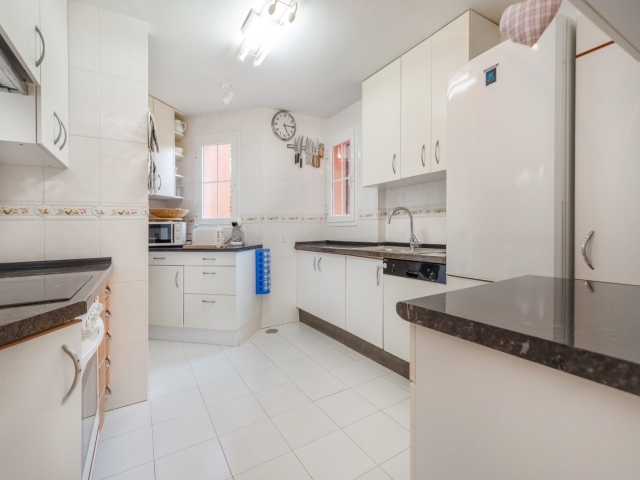 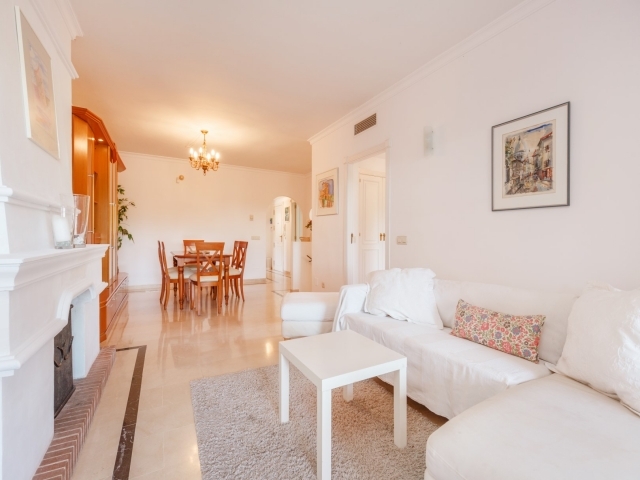 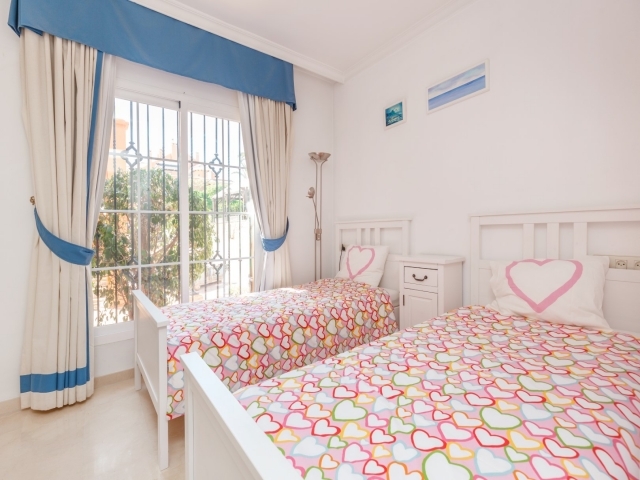 It is walking distance to ameneties, Centro Plaza and the sandy beaches of Puerto Banus. 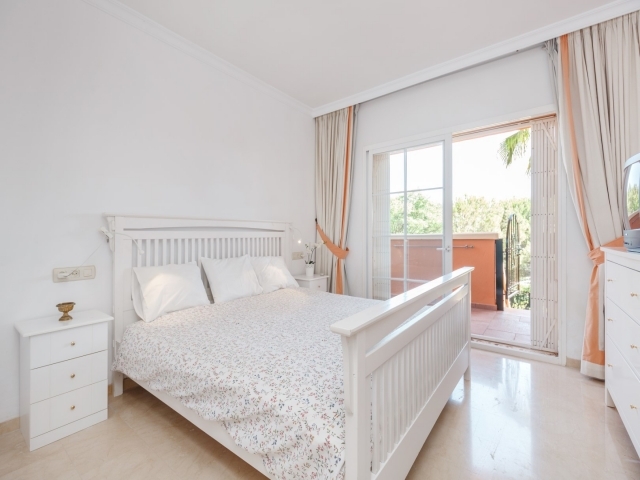 LAYOUT; The entrance level comprises of two double bedrooms which are light, bright and homely, each with en-suite bathrooms. 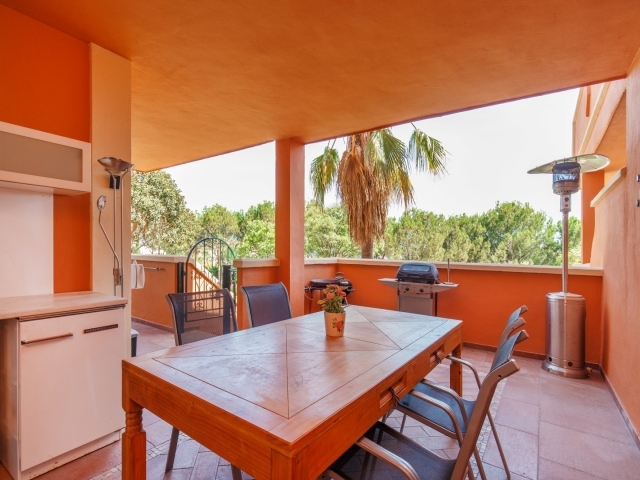 On the same level you will find the kitchen and combined dining/ livingroom which has direct access to the glorious south facing terrace. 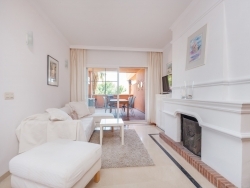 The lower level comprises of two good sized bedrooms sharing a communal area and a bathroom. 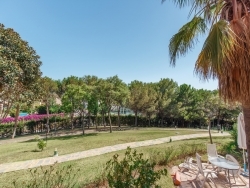 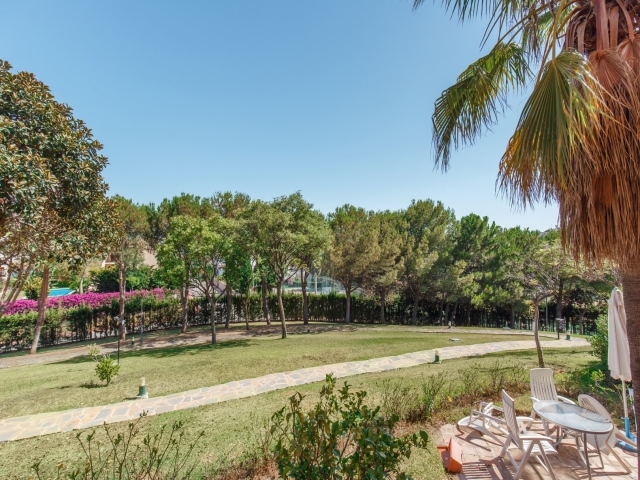 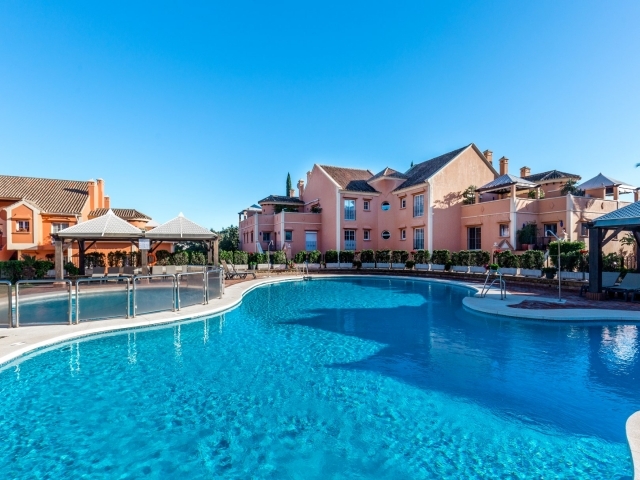 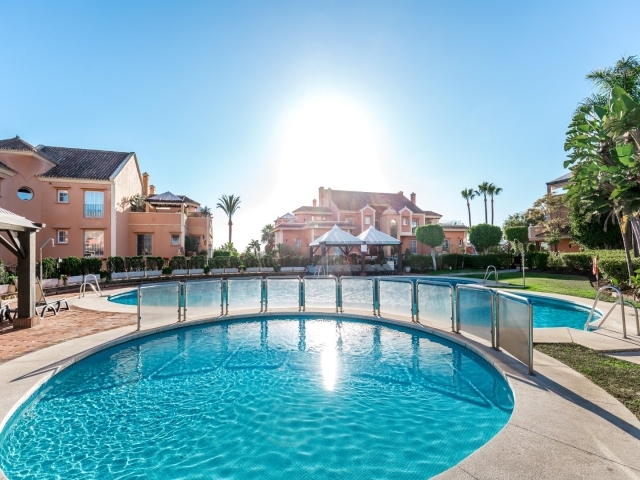 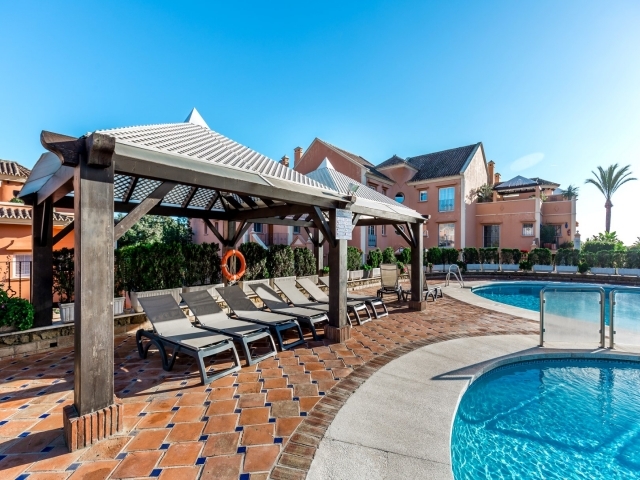 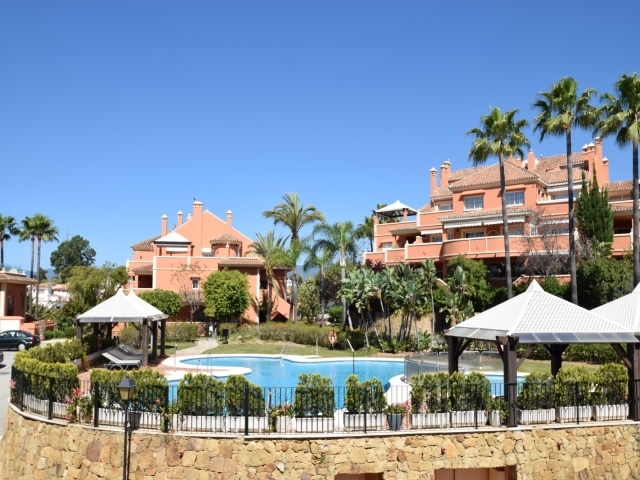 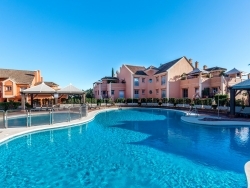 The gated development of Andalucia Alta is very family friendly with good security, gorgeous community gardens and swimming pool including a children´s swimming pool.